Want to make an impact in the world? What a gift it is! Come for an evening of fun, cocktails, hors d'oeuvres, music and shopping. 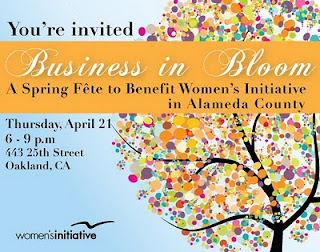 Leave inspired having learned about the mission of Women's Initiative and having heard the stories of how we've empowered women to build businesses and enriched communities in Alameda County. Click here to RSVP and purchase tickets ($25 per person) or contact Carmen Angulo at cangulo@womensinitiative.org for more information. Raffle tickets available for $5 each or 5 for $20. 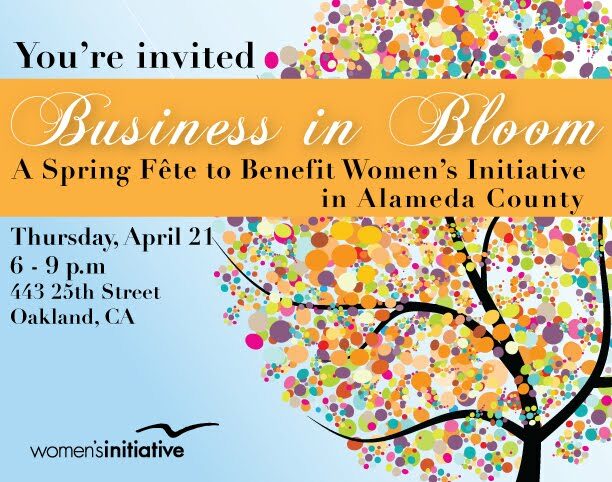 Raffle prizes include Oakland/Berkeley restaurant gift certificates, fabulous gift baskets from Women’s Initiative graduates, and much more! Contact me: dewhitaker@openingeyes.net to purchase tickets. They will also be sold during the event. You do not need to be present to win. 7 p.m. Raffle prize winners announced at 8:45 p.m.
Shopping at the Women's Initiative Graduate Marketplace includes unique jewelry, clothing, distinctive accessories, gourmet foods and other items from the businesses created by Women's Initiative graduates. Special thanks to Barbara Llewellyn Catering for generously donating their space for this event. For more than 20 years, Women’s Initiative for Self Employment has provided low-income, high-potential women with the training, funding and ongoing support to start their own businesses and become financially self-sufficient. The women who go through our program significantly increase their income and assets while launching businesses, creating jobs and stimulating the local economy. In 2010, our recent graduates created 3,818 jobs! There are innumerable ways to make an impact in the world. What's continuously amazing to me as a board member and volunteer for Women's Initiative is that I receive as much if not more than I give.